The management reserves the right to refuse admission and/or require a customer to leave the premises without a refund. We are under no legal obligation to admit a customer, nor give a reason for refusing to do so. We will not tolerate ANY abuse of our staff members, physical OR verbal, in any form. Aggressive, threatening or abusive behaviour OR language can result in a lifetime ban from the premises. 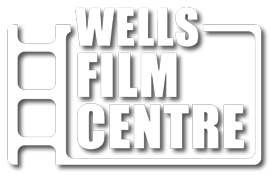 Wells Film Centre require adults accompanying children to exercise reasonable levels of control over them to ensure their behaviour is deemed socially acceptable by other customers and staff, and appropriate to the situation/surroundings. Where this is not deemed to be the case, our staff reserve the right to intervene. If forced to do so by circumstances beyond our control we reserve the right to cancel a performance, vary the film and vary the time of exhibition. In such cases our liability will be limited to the refund of the cost of the ticket purchased only, and is in all cases at our discretion. Any incidental costs (such as, but not limited to, parking fees, concessions purchases and booking fees) are the customers sole responsibility. This includes all Event Cinema performances. In all other circumstances tickets are NOT TRANSFERABLE OR REFUNDABLE. For security measures please note that if you leave the premises during a show there is no re admittance. No refunds will be made in cases where the customer has watched the whole film without alerting the management to the existence of a problem detrimental to their proper enjoyment during the performance. If we are unable to rectify a problem during the show, a full refund of the ticket price and any booking fee charged may be refunded during the show, but we are not liable for additional purchases made, or other costs incurred, by the customer and no refunds are available where problems are raised with staff after the show has ended. Customers who have watched the film are deemed to have found it acceptable. Both the purchaser AND holder of tickets are required to observe the conditions laid down by The British Board Of Film Classification Certificate for the film being exhibited. Young people and/or any adult accompanying them may be required to provide proof of the young person's age. The word of an accompanying adult is not regarded as proof, and in all cases it is at the sole discretion of the manager to judge the young person's age. This is a legal licensing requirement, it is not within the law for us OR the accompanying adult to allow under age viewing of any films. Alcoholic drinks may not be brought on to the premises, and anyone deemed by the manager to be intoxicated WILL BE REFUSED ADMISSION. Alcohol purchased from our bar may only be taken into the screens (all alcohol is served in plastic tumblers) and is not permitted outside. Under no circumstances is glass permitted. Smoking is now not permitted inside cinemas by law. We request that e-vapour and electronic cigarettes are not used in the auditorium. As a courtesy to your fellow audience members there is no re admission if you choose to leave during a show for a cigarette. With the exception of on-call members of the emergency services, customer's mobile telephones MUST BE SWITCHED OFF in the auditorium. Sound and Visual recording of films is ILLEGAL and the police WILL be informed. We reserve the right to use NIGHT VISION and RECORDING APPARATUS to monitor the audience in the cinemas at any time. Food or drink not purchased from us is prohibited on the premises except on medical grounds, where evidence may be required. We reserve the right to inspect the contents of customer's bags, etc. for security reasons, banned items and illegal substances. Any items of baggage, or accessories such as prams, left with our staff will be subject to a security search. All laptops, cameras and recording equipment are not permitted into the screens. We are happy to lock them away for you during the show. Wells Film Centre take no responsibility for any articles left so where possible please leave them at home. Wells Film Centre is not responsible for errors in information received from third parties, including newspapers. These third parties may include a number of website listings that do not receive any information from us. Our official website at www.wellsfilmcentre.co.uk should always be checked for current, accurate program times. Wells Film Centre takes the protection of children very seriously. For this reason we may refuse admission to adults who do not have children with them for films aimed primarily at youngsters. All customers should be dressed in a manner that does not cause offence to other customers. All of our screens are air conditioned to provide cool conditions in hot weather, for your comfort, without the need to remove layers of clothing. Please be aware that customers are not permitted to enter cinema screens while barefoot, due to Health & Safety concerns. Skateboards, roller blades, scooters and 'heelys' must not be taken into cinema screens. The use of such accessories within a cinema poses a serious health and safety risk to both the users and to other customers. In some cases these can be left with cinema staff, but we would urge you to leave these at home where possible. As a courtesy to your fellow audience members, and to prevent film theft, we ask that customers do not enter any cinema auditorium using any 'wearable technology' capable of recording images. Any customer found wearing such technology will be asked to remove it and may be asked to leave the cinema. Wells Film Centre reserve the right to use CCTV recording equipment in public areas of cinemas, for the protection of our customers, our staff and our business. We will comply with all local authority and police requests should they wish to obtain CCTV footage from any of our systems. The above is a summary of our terms and conditions, further restrictions may apply without notice at our discretion. For your enjoyment and the enjoyment of others, we strongly recommend that very young children are taken to our afternoon shows and/or weekend performances rather than standard evening screenings. No under 3's are permitted to any show. All 3 year olds and over will be charged the child's rate whether they occupy a seat or not. If a child finds the performances upsetting no refund or exchange will be given, so we do suggest checking film suitability with the cinema beforehand. As a courtesy to your fellow audience members there is no admittance 15 minutes after the film/performance has started except in extreme circumstances. NONE OF THE ABOVE TO AFFECT YOUR STATUTORY RIGHTS. Proof of identity and/or age may, at the absolute discretion of the Manager, be requested prior to admission of any Customer upon the purchase of a reduced price ticket. Proof of eligibility may be requested prior to admission of any customer upon the purchase of either a reduced price ticket or discount card. Discount cards are available with customers holding a U3A, WI or Royal British Legion card and are £5 for life (see special offers for more information). Adult Ticket: An adult ticket must be selected by or for all persons aged 15 years and older, regardless of film classification. Child Ticket: A child ticket must only be selected by or for persons aged 3-14 years. A child ticket is only valid for films certified "U", "PG" and "12A". Tea Matinee Ticket: Available on selected shows (usually 3pm or 2pm Monday to Friday during term time and Wednesday 11am) and includes a tea or coffee and biscuits. Check for this weeks film/s. Member Tickets: Only members of our discount can book these discounted tickets. If you book one of these tickets and do not bring a valid membership card with you to the cinema then you will be asked to pay the difference. Group Bookings: Bookings for persons requiring more than 15 tickets for a specific show need to be made directly with the cinema to entitle them to receive a discount (not available on all films). School Bookings: Bookings for schools requiring more than 20 tickets and/or a closed screening please speak direct to the cinema. MEERKAT MOVIES: 2 for 1 available on standard full paying price adult and child tickets only not available with any other discount or discounted/special show. There is a £1.00 booking fee when booking on-line or over the telephone for all credit/debit cards per transaction regardless of number of tickets booked. All our screens are accessible for wheelchair users. If you have a special access requirement please contact the cinema prior to making a booking so we can discuss the matter with you and ensue that any help is given.